We understand that information security is your priority. It's ours, too. That's why we use advanced security technology to help protect our users and their data. Learn more. Who can view my pins on Yellowdig? On our platform, users are grouped into organizations based on their email domain. For example, all users with abc@google.com will be grouped under the Google organization once they verify their email. Nothing ever gets shared outside of your organization. Would I violate any organizational policy if I use Yellowdig? Yellowdig is not a public social network such as Facebook or Linkedin, so it does not pose any risk of information leakage outside of your organization. We encourage our users to follow the same professional standard and good judgment in sharing information they would otherwise follow in communicating with their colleagues via email or otherwise. Yellowdig's "software as a service" model is well proven and complies with industry standard security protocols. Can Yellowdig administrator or staff view the information I am pinning on Yellowdig? No. Your information remains strictly private to your organization and this rule applies to Yellowdig administrator and staff members as well. We can only view certain metadata to understand how well we are doing in user adoption and engagement. Is there a limit to the number of boards I can create on Yellowdig? No, there is no limit. We want our users to create many boards based on their interests, so that organizational knowledge becomes vast and people can discover new areas of knowledge previously unknown to them. However we encourage our users to first search available boards before creating new ones to avoid duplicate boards. Would you ask for money once I get used to Yellowdig? No. The basic version of Yellowdig is free and will remain that way so that you can always have access to your information. What should I do if someone is behaving inappropriately on Yellowdig? Reach out to the person and explain why you think he or she is using the platform inappropriately. People are sometimes unaware of the impact of their behavior online. Your colleague will appreciate that you reached out privately. Should the behavior continue, alert the community administrator. Community administrators can track and alert users for potential suspension of account. Unfortunately, if that does not stop the problem either, the community administrator can suspend the user account. 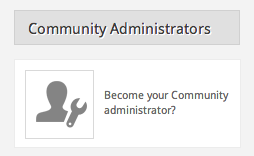 How can I become a community administrator? We have made it super easy for you to become one. Organizations can self elect up to 3 community administrators. If your organization has less than 3 community administrators, simply follow the link "Do you want to become a community administrator?" Make sure you read the roles and responsibilities of a community administrator before you elect to become one. How can I incentivize my team to become more active on Yellowdig? Yellowdig has an inbuilt incentive system to help you do exactly that. The top contributors are promoted in the platform. Try making it a little more competitive by announcing gift cards for the top X contributors. This is just one of the ways, as you can always use other forms of incentives appropriate for your environment. You will be surprised to notice that the total gain of team knowledge far exceeds the value of your investment. Are there any best practices for growing adoption in my organization? We have repeatedly noticed that organizations that are able to bring their senior management onboard early on see much faster adoption than the ones that don't. If you find our platform useful, we recommend that you mention this to your senior management to consider using for their teams or across the organization. How is Yellowdig different from other enterprise social software, such as Yammer or Jive? We are focused on building the next generation knowledge management platform as knowledge increasingly becomes versatile, real-time and collaborative. We aspire to lead this category. If I have a question or facing an issue, how can I contact Yellowdig? Please send us a note. We love to hear from our existing and potential users.